David Liebman was born in Brooklyn, New York in 1946. He began classical piano lessons at the age of nine and saxophone by twelve. Seeing John Coltrane perform live in New York City clubs sparked his interest in jazz. Throughout high school and college, Liebman pursued his jazz interest by studying with Joe Allard, Lennie Tristano and Charles Lloyd as well as taking a leading role in organizing musicians into a cooperative, Free Life Communication -- all part of the lively New York "loft" jazz scene. Upon graduation from New York University (with a degree in American History), he began to seriously devote himself to the full time pursuit of being a jazz artist. After some time spent with Ten Wheel Drive, one of the early jazz-fusion groups, Liebman secured the saxophone/flute position with the group of legendary Coltrane drummer Elvin Jones. Within two years, Liebman reached the zenith of his apprenticeship period when Miles Davis hired him. These years, 1970-74, were filled with tours, recordings and the incredible experience gained by being on the bandstand with two masters of jazz. At the same time, Liebman began exploring his own music-first in the Open Sky Trio with Bob Moses and then with Richie Beirach in Lookout Farm. Tours of India, Japan and Europe and in the US helped Lookout Farm be recognized as #1 in as "Group Deserving of Wider Recognition" in the 1976 Down Beat International Critics' Poll. Liebman went unto perform with Chick Corea, John McLaughlin, Eddie Gomez, Pat Metheny, John Abercrombie, John Scofield, and others. He is a Grammy nominee with over 50 recordings as a leader and over 200 recorded original compositions, ranging from orchestral works and string/wind/sax quartets to re-workings of Puccini and Bernstein to world music with Sardinian, Indian, and Asian musicians. Liebman has written several pedagogical texts and was "teaching" jazz well before the subject was generally recognized. He is also the founder (1989) and present artistic director of the IASJ, the International Association of Schools of Jazz, an organization comprised of international jazz schools from over 40 countries. His teaching activities at universities and in clinic settings have taken him literally around the world, primarily because of his varied musical interests, expertise on several instruments and ability to articulate the intricacies of the jazz language, aesthetic and technique. Over the years, he has regularly received grantees to study with him funded by the NEA (US), the Canadian Arts Council, as well as arts councils of numerous countries. Liebman himself has received two NEA grants for composition (1980) and performance (1991). 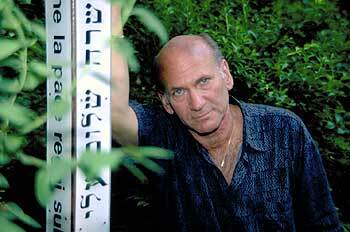 The debut recording of the David Liebman Big Band (conducted by Gunnar Mossblad), Beyond the Line, was released on OmniTone in 2003. Dave's more recording for OmniTone is with his long-running David Liebman Group, featuring Vic Juris, is Blues All Ways, Dave's tribute to the blues.